OceanFeed™ Pet is a natural feed material, derived from a blend of red, brown, and green seaweeds sustainably sourced from Asia and Europe to create a unique blend for your dog. OceanFeed™ Pet contains prebiotic polysaccharides and other natural bioactives which can enhance gut microflora; creating competition for pathogenic bacteria, helping to enhance nutrient adsorption. Seaweeds have also been shown to generate a positive immune response, with the overall outcome being a healthier gut. Pet owners may well observe the healthier gut through creation of firmer and well-formed stools. Packed with natural minerals present in seaweeds, OceanFeed™ Pet can also visibly enhance coat shine and conditioning. While OceanFeed™ Pet has been used for a number of years as an ingredient in premium formulated pet foods, we’re now giving more dog owners the chance to experience the benefits by mixing with their existing pet food at home. Recommended for dogs of all ages. There are tens of thousands of species of seaweed in our oceans, and each one has its own distinct composition of bioactives, minerals, and nutritional components. 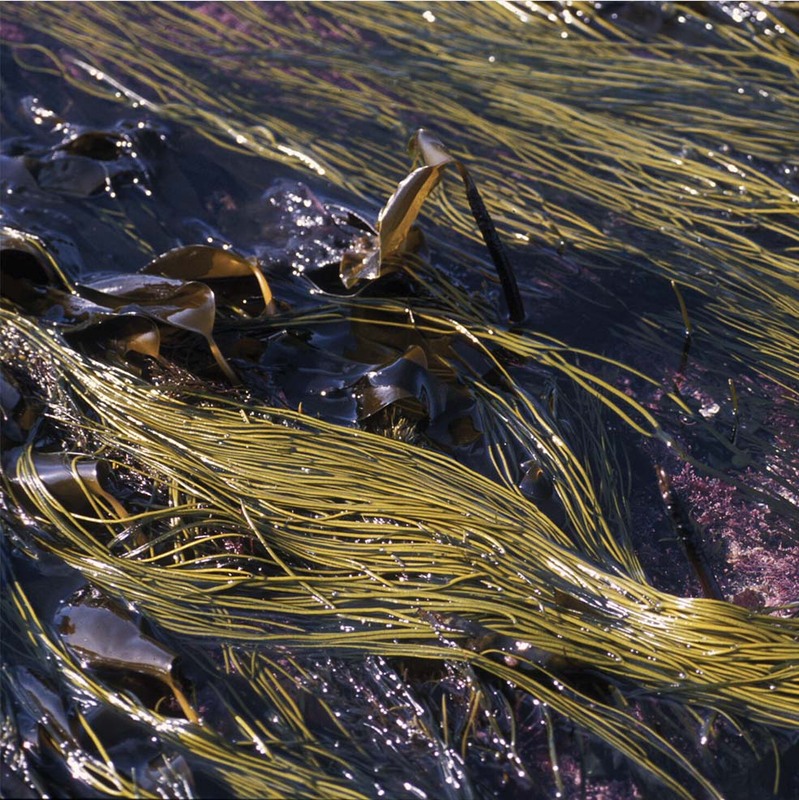 Though the dietary benefits of seaweed have been known for decades, the proprietary blends that go into OceanFeed™ products combine specific brown, green and red macroalgae gathered in Europe and Asia. We curate seaweed from beach to finished product around the world to bring our customers unique blends specially formulated with the goal of enhancing feed performance for their animals. Share your story and get featured! – Laura Campin, Owner of Rosie. OceanFeed™ Pet is available in 250g sized pouches at Amazon UK. CONTACT US FOR RETAIL, VETERINARY OR INCLUSION WITHIN FINISHED PETFOODS. Prebiotics are substrates that are selectively utilised within the gut to promote the growth of beneficial microorganisms, which then competitively supress pathogenic bacteria, and enhance gut performance. Seaweeds are also a concentrated source of essential minerals and other natural bioactives. Good bacteria play a significant role in regulating the immune system where prebiotics can alter the composition of organisms in the gut microbiome. The prebiotic polysaccharides found in seaweed can enhance gut microflora leading to improved nutrient adsorption, as well as firmer stools. The natural minerals can also help with coat condition including shine and softness. OceanFeed™ Pet is suitable for dogs of all ages including those with wheat intolerance and those on low fibre diets. Measure out the OceanFeed™ Pet with the 2g scoop provided and mix with your dog’s existing food. Dampen if mixing with dry kibble or mix directly into wet food. Usage rates of the product can range from 2.5g-5g a day per 10kg of dog bodyweight depending on palatability and the goals of the owner. The ‘Recommended Usage Rates’ maintains OceanFeed™ Pet performance in your dog. The ‘Higher Usage Rates’ may be used intermittently if a transition to enhanced digestive health is needed. OceanFeed Pet is a natural product made from seaweeds. Although Ocean Harvest Technology blends to minimize variance, as a natural product, actual composition may vary depending on factors such as season, weather, and harvest location. Where can I get OceanFeed Pet? OceanFeed Pet is available through Amazon UK, is formulated into some petfoods, and will shortly be available at retail and veterinary outlets. Does OceanFeed Pet replace antibiotics or other veterinary drugs? No – OceanFeed Pet is a dietary animal feed material which uses prebiotics and minerals to enhance digestive performance and coat conditioning. Can I use OceanFeed Pet while using antibiotics? We are not aware of any negative impacts, however antibiotics will tend to reduce the overall gut microflora, so the prebiotic benefit of OceanFeed Pet may be reduced while your pet is using prescribed drugs. If negative impacts are observed, please discontinue the use of OceanFeed Pet, and consult your veterinarian. Can I purchase OceanFeed Pet and put it into one of the petfoods that my company makes? Yes, OceanFeed Pet can be formulated into petfoods, and this has been done for a while. Please contact us for details. What is in OceanFeed Pet? OceanFeed Pet is a blend of natural seaweeds and does not contain additional functional ingredients.